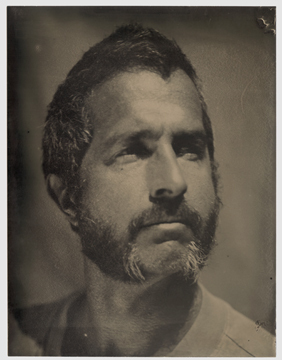 Gordon Stettinius' work has been exhibited nationally and internationally, his photography can be found in both private and public collections, and he is a winner of the 2009 Theresa Pollak award for Excellence in the Arts. Stettinius is represented by Robin Rice Gallery in New York and Page Bond Gallery in Richmond, Virginia. He is also an emeritus member of 1708 Gallery in Richmond, Virginia. In 2010, Stettinius decided to start up an independent publishing company, Candela Books, which released its first fine art photography book, a monograph of photographer Gita Lenz. An exhibition of Lenz' work opened concurrently at Gitterman Gallery in New York. In 2011, Stettinius published the fourth book, Salt & Truth. from American photographer Shelby Lee Adams. Currently, Candela is working on its third and fourth titles. In 2011, Candela Gallery was founded opening with exhibitions to support Candela's first book titles but quickly filling its schedule with photographers of national reputation. The gallery is located in the downtown arts district in a newly renovated building. Stettinius is also currently teaching as an adjunct professor at Virginia Commonwealth University.